Pipe wrapping shouldn’t be a difficult or cumbersome task, and it doesn’t have to be with Sawyer’s Accuwrap II. 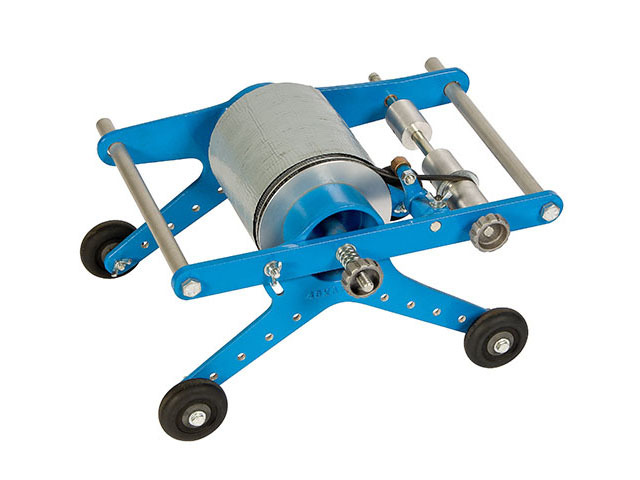 This easy-to-operate, hand-held pipe wrapping device simplifies tape coating and ensures the job is always done right the first time. Spiral and cigarette wrapping with the proper overlap are quick and easy with the Accuwrap II, and independent adjustments for tape and release line take-up guarantee the proper tension every time. The Accuwrap II’s different available sizes accommodate tape rolls 2”-18” wide with core diameters of 1.5” or 3”, while the lightweight, low-profile design allows flexible and fast application of release liner or plain tape coating. Take pipe wrapping to the next level with Sawyer’s Accuwrap II.